Lights. Power Sockets. Audio Tape. Televisions. Vinyl. Neon Words. VCR Machines. Speaker cables. Amplifiers. At least one Ladder. Video Tape. Speakers. Super 8. Microphones. Projectors. And running. Lots and lots of running. 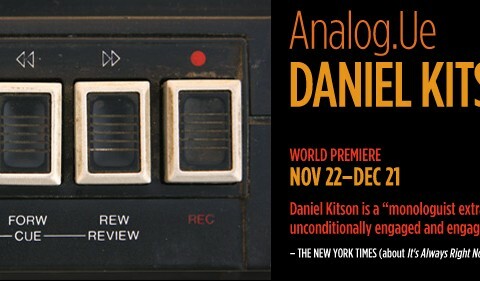 Daniel Kitson returns to St Ann’s with a new show about a pre-recorded story. Striking… melancholy… an artistic risk for the daring performer. Hyperarticulate comedy folk hero Daniel Kitson delivers hearty wit and witty heart.